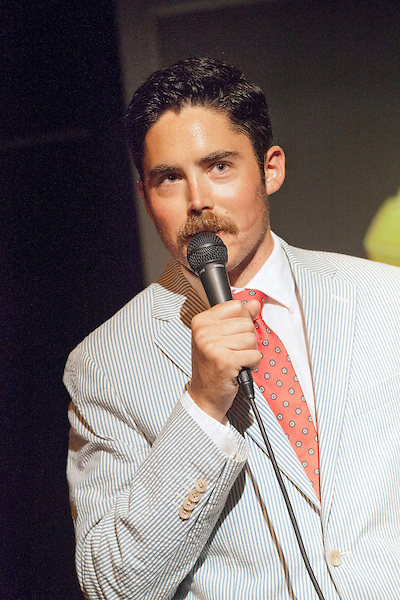 Doug Smith was featured as a New Face at the prestigious Montreal Just for Laughs Comedy Festival in 2013 after only four years as a stand-up comedian. Since then he has appeared at the Oddball Comedy & Curiosity Festival and AXS TV’s Gotham Comedy Live. Doug is a regular at NYC clubs and alternative rooms and continues to hone his talent and build his fan base. With a unique upbringing as the much younger child in a family of Jehovah’s Witnesses, Doug has plenty to draw from and is quickly becoming one of the sharpest writers in NYC. He has extensive improv training from the Upright Citizens Brigade Theater and currently co-produces See You In Hell!, an award winning stand-up/variety show at The Creek and The Cave in Long Island City.